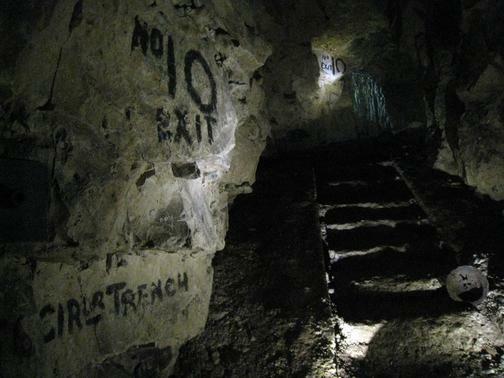 A stone stairway out of the vast network of tunnels dug around the French town of Arras by the Allies. As battle rages above, a soldier moves desperately through a network of tunnels and rooms, encountering the festering corpse of a dead man before eventually escaping the depths. The Rear-Guard (Hindenburg Line, April 1917): The rear-guard is a detachment that protects the rear of a military force. 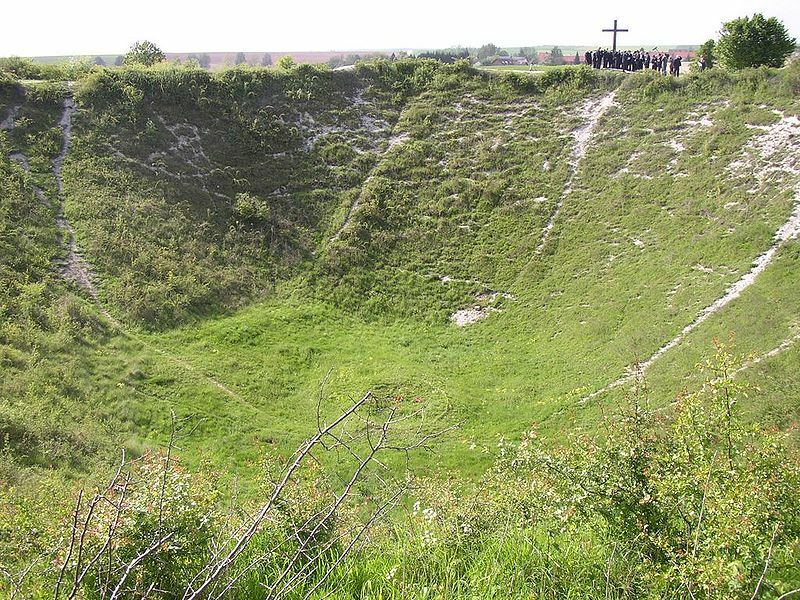 The Hindenburg Line was a series of defences built in North Eastern France, constructed in 1916-17. The German Army retreated to this line of strengthened, deepened concrete trenches and bunkers, set on better defensible ground, in March 1917. 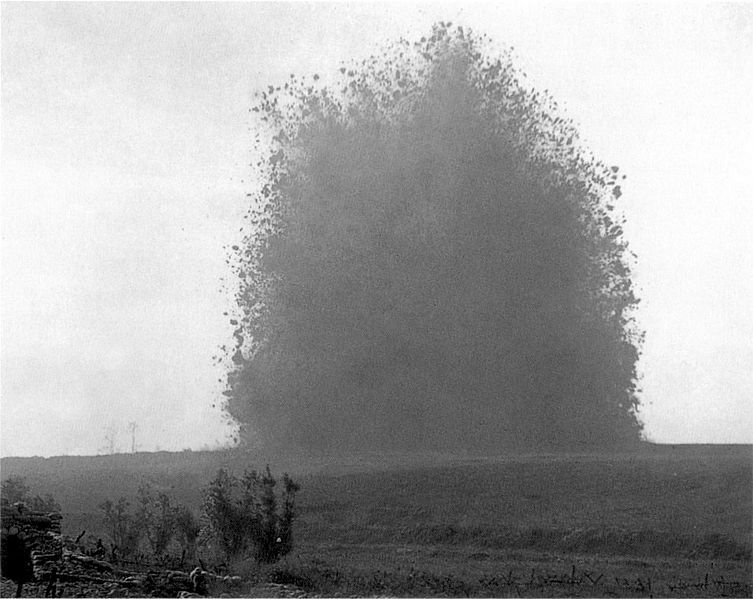 In April 1917 a French assault on the supposedly ‘impregnable’ Hindenburg Line ensued, which the British supported by a diversionary thrust near the French town of Arras. 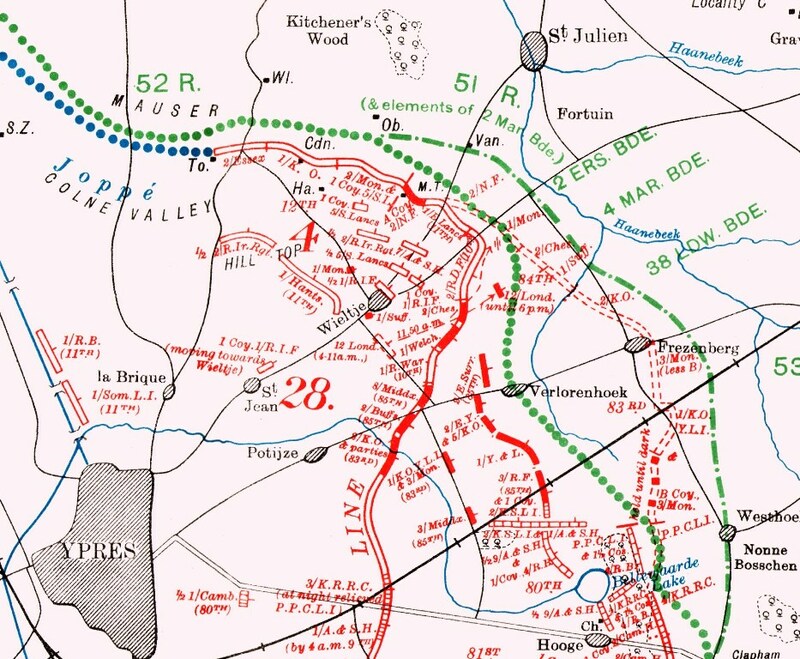 This became the bloody Second Battle of Arras in which 150,000 British and Commonwealth soldiers were killed and in which Sassoon fought with the Royal Welch Fusiliers. Sassoon said of his experience at Arras: “The dead bodies lying about the trenches and in the open are beyond description… our shelling of the line— and subsequent bombing, etc— has left a number of mangled Germans— they will haunt me till I die”. Sassoon himself was shot through the throat during the action and it was while recovering from this in Britain that he wrote his ‘Soldier’s Declaration’. The Battle of Arras and the assault on the Hindenburg line had a special horror for Sassoon, then. 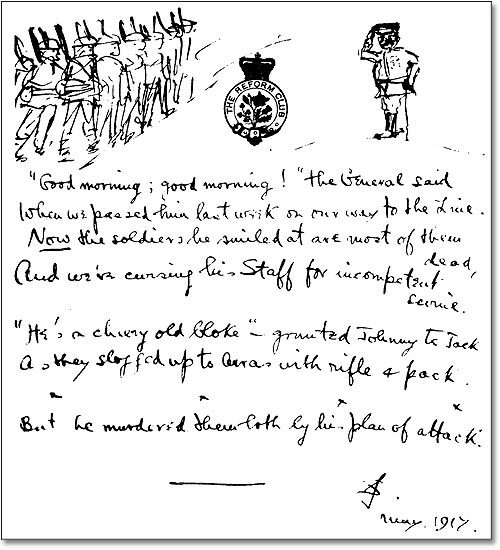 The poem may seems to be describing an experience in one of the tens of kilometres of allied tunnels dug in the chalky ground beneath and behind no-man’s land before the Battle. “Groping along the tunnel, step by step”: The poem begins with a sense of struggle as the reader is thrust directly into the action, beginning with the verb, “groping”. With this the reader is made immediately aware of the sense of touch on which the soldier is dependent, and how difficult it is to negotiate the tunnel, “step by step”. “He winked his prying torch with patching glare”: The darkness in the tunnel is absolute, save for the inadequate light from the soldier’s torch, which acts as a searching eye— winking, prying and glaring. The torch only illuminates in patches, however: the soldier cannot see all around him, adding to the sense of threat. “sniffed the unwholesome air.”: Denied vision, the sense of smell becomes acute. The lack of vision in this poem becomes symbolic of a lack of rationality that becomes more acute as the poem goes on: the soldier must rely on more direct and possibly irrational senses, like smell and touch. Note the sibilance of “side to side, and sniffed”: suggesting sniffing itself, perhaps, or the serpentine sway of the torch. The air is “unwholesome” perhaps because of lingering gas— or death. “Tins, boxes, bottles… the mattress from a bed”: The first stanza effectively establishes a subterranean world without light. The second stanza surprises, therefore, with a shift to more familiar and homely objects. The effect here, however, is to create a sense of weird uneasiness, of the familiar appearing strangely. Sigmund Freud called this effect unheimlich (literally, German for ‘unhomely’) and we translate it as the ‘uncanny’: its psychological effect is disconcerting. “exploring fifty feet below / The rosy gloom of battle overhead”: the extreme depth in which the soldier moves implies an almost absolute removal from the world of the surface and the fighting above, imagined as a “rosy gloom”. Fire lights the smoke of battle, perhaps: but the “rosy gloom” also voices an almost attractive quality to the grim scene above, highlighting the sense of isolation of the soldier. There is a sense that the soldier is exploring a completely ‘other’ realm. The assonance here may also suggest the muffled resonance of the bombs above. 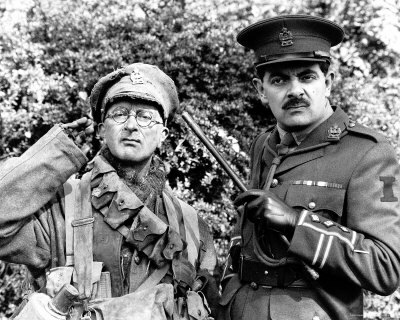 “Tripping, he grabbed the wall”: A return to the use of a verb to begin the line, highlighting a loss of control and again, the desperate dependency of the soldier on touch. “saw someone lie / Humped at his feet, half hidden…”: The soldier discovers what he takes to be a sleeping man. “‘God blast your neck!’ (For days he’d had no sleep,)”: the tension that the soldier feels leads to a frustrated outburst: the parenthesis here explains the intense impatience and envy that the soldier feels for the “sleeper” he has discovered. Note, as ever, Sassoon’s assured use of colloquial language. “Savage, he kicked a soft, unanswering heap…”: The gradual shedding of layers of humanity in the poem so far culminates in the word ‘Savage’: summing up the sense of atavistic disorder the soldier finds himself in. ‘The Rear-Guard’ is in many ways about human beings reverting to a less developed, animalistic, inhuman state: perhaps this is why the poem at times is reminiscent of HG Wells’ The Time Machine, with the time traveler exploring the realm of the degenerate subterranean Morlocks. Loss of vision, rationality, co-ordination and disorder in an underworld hell represent the violent intellectual and moral collapse of the Western world. “…the livid face / Terribly glaring up…”: a double meaning. ‘Livid’ of course means ‘angry’ but also originally and literally here, ‘black-and-blue’— the colour of bruises. The use of the present continuous— “glaring”— again gives the disconcerting sense that the dead man is dead, yet somehow alive. 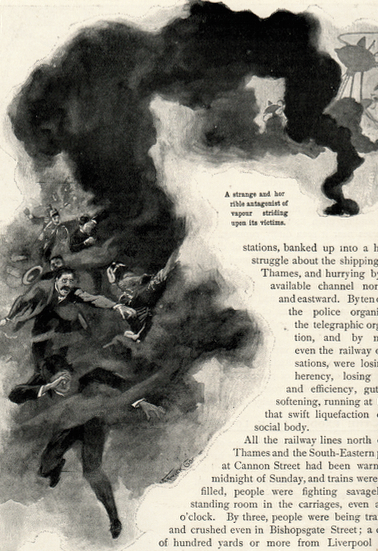 “Agony dying hard… And fists of fingers clutched a blackening wound”: The man’s face is frozen in a death-mask of horror and agony. “Fists of fingers” returns us again to a repulsive and frightening world of touch, here clutching the festering wound. “Alone he staggered on…”: This line begins with a state and then moves to the verb, unlike those previous lines already commented on. The prime impression here is then of the soldiers loneliness in the tunnel and his sense of isolation as he stands next to the ten-day old corpse. “Dawn’s ghost…”: the weak light of dawn is evoked in this supernatural metaphor. It is interesting to note that although this poem stages a classical descent into the underworld or journey into hell, metaphorically speaking the world above is a realm of the supernatural. Part of the bleakness of the poem is that neither upper nor lower realm has any sense of peace or consolation; unrest dominates both spaces, and the world of light, while a relief from darkness, remains troubling. “…the dazed, muttering creatures underground”: the world below is not populated by human beings but by those reduced to inhuman ‘creatures’; demons, perhaps, or creatures from myth. “Who hear the boom of shells in muffled sound.”: again, the use of onomatopoeia here (“boom”, “muffled”) gives a sense of the continuous din coming from the world above. “…with sweat of horror in his hair,”: a last description that reprises the grim sensuality of the poem, especially that of touch: the soldier is in a cold, fearful sweat and feels this creep over the crown of his head in the stairway draught. The use of alliteration (“horror…hair”) suggests the heavy breath of the soldier. 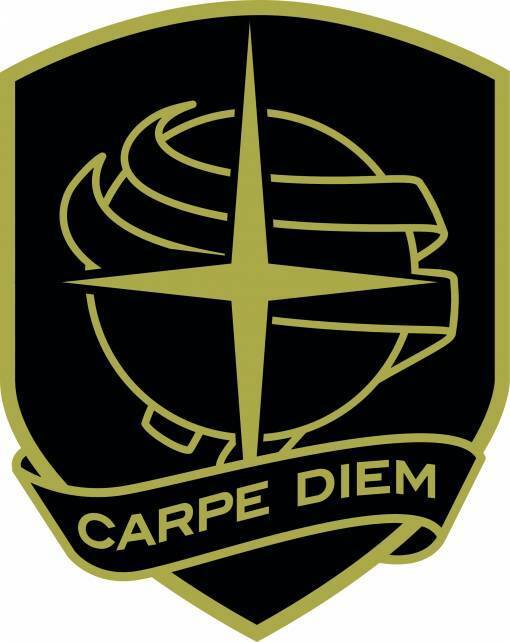 “He climbed through darkness to the twilight air…”: the gathering purpose of the soldier is emphasised by the second line of the couplet, as the soldier escapes the tunnels and the dark— into the half-light of the world above. “Unloading hell behind him step by step.”: the final line makes explicit the meaning of the narrative, as a journey into and return from the underworld— like Orpheus in Greek myth, or the Harrowing of Hell in the Christian apocrypha. Hell takes on something of its original religious power here. ‘Hell’ in everyday language or conversation is an abstract idea, a metaphor: “I’ve been through hell”, we say, but this is ultimately a figure of speech. However hell in the world of belief is not a figure of speech but a literal thing, an actual space. In this poem, the soldier makes a journey not into a metaphorical hell, but to a literal, twentieth century hell. “Unloading” conveys the physical relief that climbing out of the tunnel, and so climbing out of that underworld hell, brings. Yet the poem ends, bleakly, where it began: in ponderous movement, ‘step by step’. Many thanks to Toni Peacock and her insight into the struggle of the soldier!